With Sunday seeing the debut of New Super Mario Bros. 2, the first Nintendo-published title launched simultaneously at retail and in digital form, a game would have to be some sort of crazy chicken pirate to try and muscle in on this week's Nintendo Download. So yeah, Mario and two games named Crazy Chicken: Pirate. 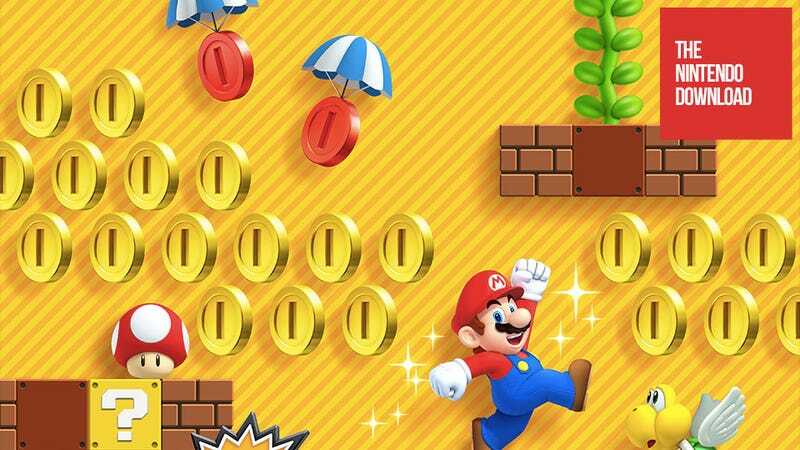 New Super Mario Bros. 2, which certain people I know seem to enjoy quite a bit, will be available for download at midnight on Sunday, meaning no one has to get up early and drive to GameStop if they don't want to. Unless they preordered a 3DS XL like I did. And seeing as I traded in my original 3DS towards the XL, there's really no point in me purchasing the digital copy, since the boxes will be right there. Or maybe I'll go to GameStop and purchase a download code, in order to make absolutely no sense whatsoever. This week also sees the release of Crazy Chicken: Pirate and Crazy Chicken: Pirate 3D, the first time I've seen a downloadable title release two different versions for the DSi and 3DS. Crazy chickens. What, it's the game with the coins.